Kalinda and Alicia. . Wallpaper and background images in the The Good Wife club tagged: the good wife alicia florrick kalinda. 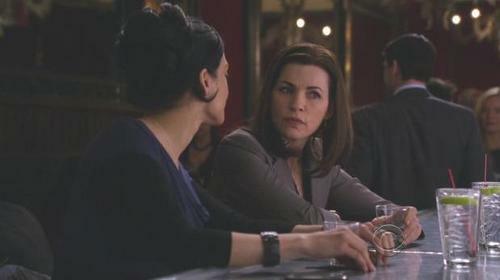 This The Good Wife photo contains brasserie. There might also be diner and bistro.